We have a cylinder closed by a moveable piston. A force will be applied on the piston which has an area of A. This is a general statement to calculate the work for volume change. 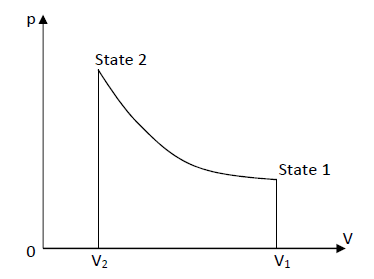 We notice that in general expression, the external pressure is used to describe the work for volume change. This equation is only available for reversible process! 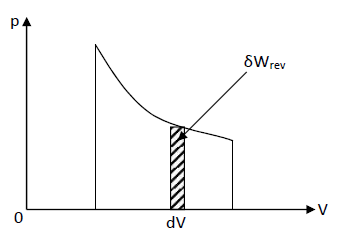 No work for volume change is done for reversible isochoric process.